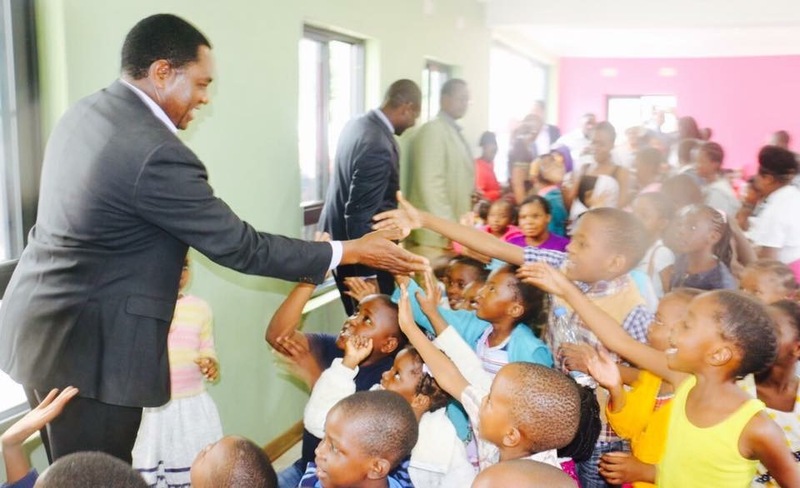 UPND president Hakainde Hichilema has described President Edgar Lungu as a clueless hyena. And HH says Mumbu Phiri asked to take a picture with him in South Africa but she later got angry when it was circulated in Zambia. Meanwhile, HH told journalists that he is in talks with US President Donald Trump and that once American Head of State settles down in office, he would turn his attention to “African dictators like President Lungu”. Addressing a media briefing at his house yesterday, HH observed that President Lungu’s administration was the worst the country had ever seen. “My fellow citizens do not fear. PF under Lungu has performed the worst in this country, the worst ever leadership, the worst whether you like it or not; I love it because it is so factual you can’t speculate. I can just give you a few facts that the economy has shrank from 7.5 per cent to less than 3 per cent. It’s a fact that today that you are likely to die when you go to UTH than three years ago, it’s a fact, and electricity today is more expensive than ever before proportionately. We are worse than what we were two, three years ago,” HH said. And HH said Phiri asked to take a picture with him in South Africa but that she later got upset when the picture went viral. “The meeting went very well…because of the type of the meeting, we were not allowed to divulge as some delegate tried to pull a fast one. You can see by the immaturity of that delegate. After asking for pictures and then she started sending pictures and people get to know what she was up to, then she turns on us and starts getting angry. It is immaturity,” he said. HH also said he was not afraid of Kampyongo because he was too “small and weak”. “Kampyongo is too small, he’s too weak, Kampyongo must go and change the Constitution first which grants us the right, the freedom he must go and do that, let’s see how he’s going to do it. My third point on Kampyongo is he is advised to look back from the list of former home affairs ministers and see where we are today, he will be worse than that, there were stronger home affairs ministers who were individually strong as human beings,” HH said. Meanwhile, HH said he was in talks with Trump who assured him that he would soon turn his attention to “African dictators” once he settled in office. “We are talking to Trump and his people. I’m sure once he has settled down in America, he will start looking at dictators in Africa. Democrats are different from Republicans huh? Democrats are a bit soft, Republicans are tough. Remember George Bush? Very tough!” exclaimed HH.